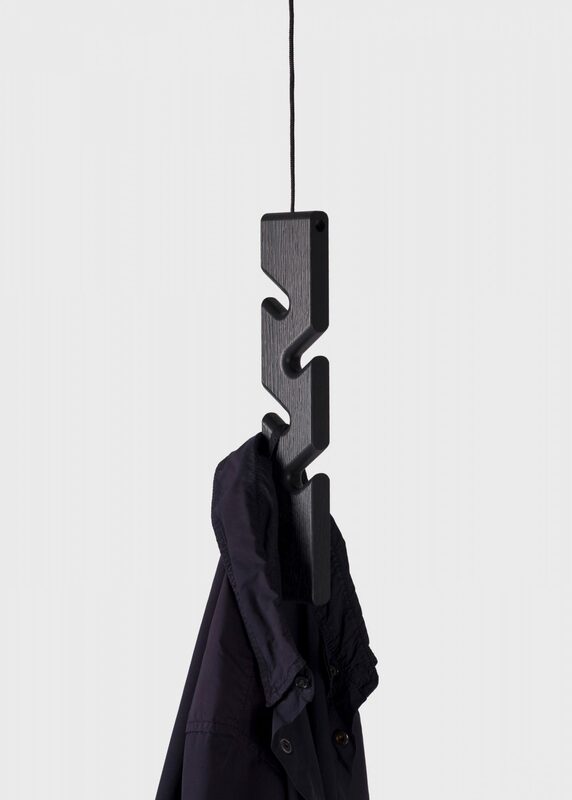 Oblik is a vertical coat rack designed for small spaces. Initially made from scrap pieces of solid oak at a workshop, it is a result of the simple production with basic wood machinery. 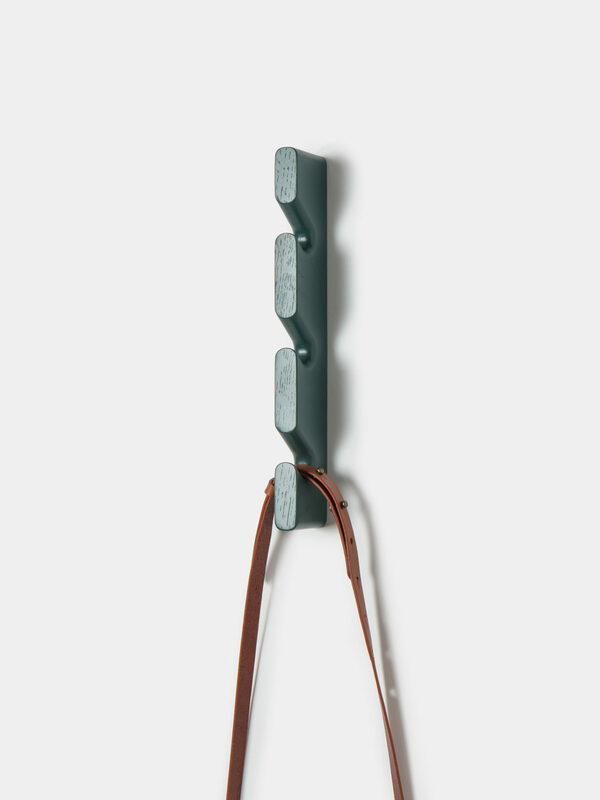 Hooks are cut in angle and rounded off for garments to be hung. 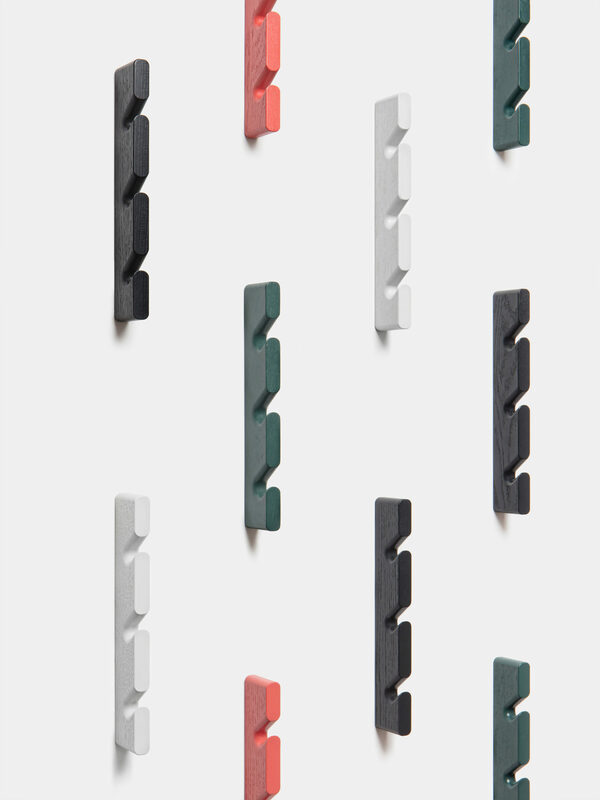 Oblik is available in two different versions – wall-mounted or hanging from the ceiling.